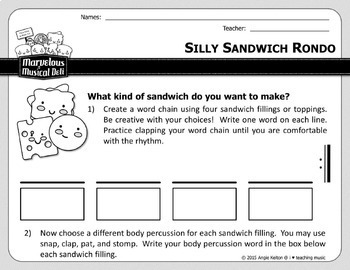 This item is part of The Marvelous Musical Deli Series. 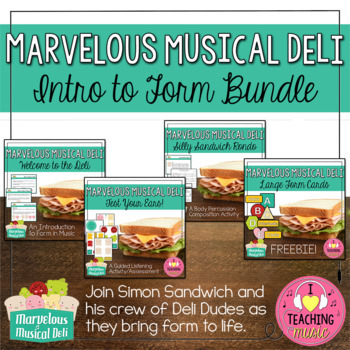 The Marvelous Musical Deli is a free online resource dedicated to teaching the concept of musical form. The website and video series are an endeavor to take the somewhat abstract concept of form and make it more concrete for younger students. 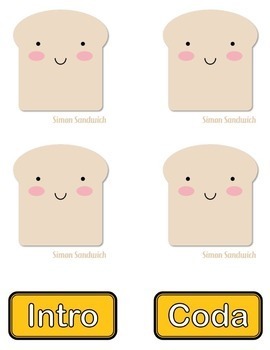 Join Simon Sandwich and his crew of Deli Dudes as they bring form to life. Visit musicaldeli.iheartteachingmusic.com for more details. Get the whole Intro to Form Bundle at a discount! 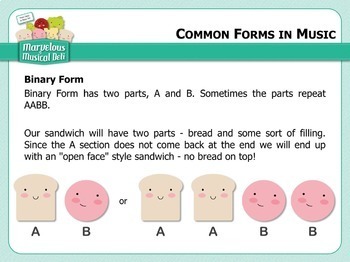 Please Note: A portion of this product (Welcome to the Deli) includes a PowerPoint version of the information found on The Marvelous Musical Deli's What is Musical Form? page. The information presented on the website is free to use. This product is meant to serve as a convenience for those who prefer to teach through a PowerPoint, instead of a website. The other items provided in this product are original and not offered on The Marvelous Musical Deli website.